Liveright Publishing Corporation, 9781631495526, 224pp. 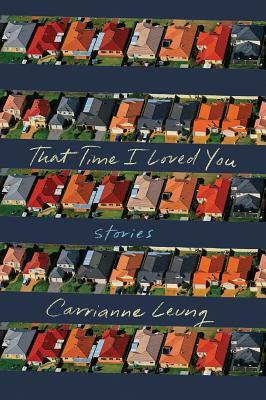 In her "compact gem of a collection" (Globe & Mail), Carrianne Leung enlivens a singular group of characters sharing a shiny new subdivision in 1970s Toronto. Marilyn greets new neighbors with fresh-baked cookies before she starts stealing from them. Stay-at-home-wife Francesca believes passion is just one yard away, only in the arms of another man. And Darren doesn't understand why his mother insists he keep his head down, even though he gets good grades like his white friends. When a series of inexplicable suicides begin to haunt their community, no one is more fascinated by the terrible phenomenon than young June. The daughter of Chinese immigrants, she sits hawk-eyed at the center, bearing witness to the truth behind pulled curtains: the affairs, the racism, the hidden abuses. Leung bursts onto the American literary stage with prose remarkably attuned to the tenuous, and perhaps deceptive, idea of happiness among these picket-fenced lives.